You can look forward to images with excellent colour fidelity, impressive sharpness and maximum contrast. Thanks to the large front lense diameter, you can spot the smallest details of the fascinating wildlife at close focus even in poor light. 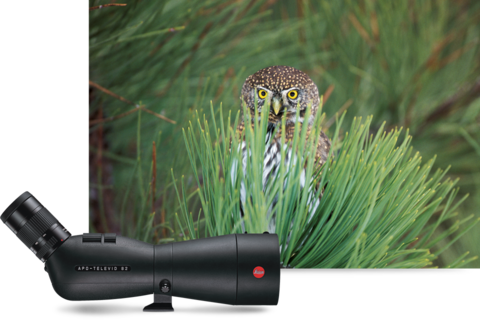 In addition, users benefit from the low weight of the Leica spotting scopes as well as from their length of only 30cm, which is not only convenient on longer tours.